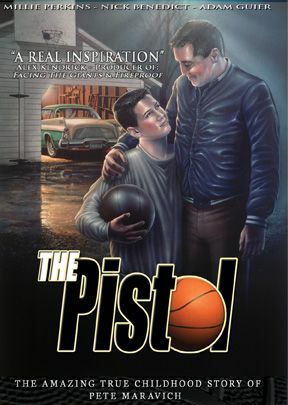 This biographical drama, focusing on Pete Maravich's freshman year in high school, is the uplifting and inspirational story of how one father's love and support had a profound impact on his son's life. It resulted in Pete's becoming the youngest inductee into the Basketball Hall of Fame. Pete showed how family, hard work, and a whole lot of heart could make anything possible. Charissa Heng (Singapore) - Great family viewing. It is a relief to find a true story which has a strong father-figure who guides his son through discipline, encouragement and support. We showed this video to some 13 and 14 year old students here in Singapore. They enjoyed it tremendously. Praise God for filmmakers who are still brave enough to produce this type of wholesome family entertainment! Memorable. I know nothing of basketball but did know Dobston was close to Pete. I enjoyed the movie and how the father and son were good together I know some say in real life it was not so good. Not sappy and it sure seemed to cast talented basketball actors. I especially remember the early part where he had to learn how to use his unusual skills as part of a team and not just for show.